A trial cyclist known for his dynamic displays on YouTube is taking to the saddle to share his skills at an open event in Manchester. Danny MacAskill is taking part in a Street Light Session, a series of shows organised by Red Bull and Inspired Bicycles, to involve bikers of all abilities in a specially set-up urban environment. The five-hour session is seeking participants to try their luck on the course with MacAskill and other riders at a derelict site near the city centre. 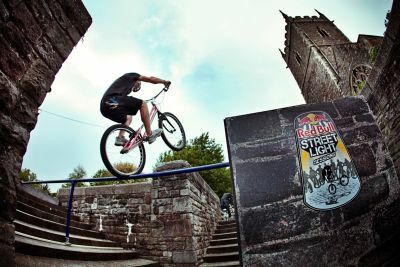 The Red Bull Street Light Session takes place at the River Street Development in Manchester on October 8 from 5.00pm to 10.00pm. You can sign up for the event, and get more details, by visiting the Street Light website.